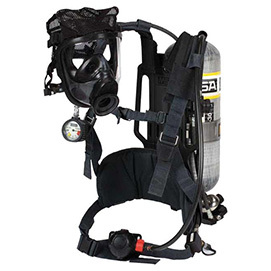 Includes Ultra Elite Mask, M7 Carrier Frame & Harness, CBRN M7 PR14 Regulator, Wireless M7 Heads Up Display, Quick Fill URC/RIC, M7 Control Module and MSA 2216 or 4500 psi Carbon Cylinder (MSA M7). 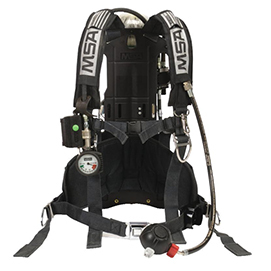 Comes with Ultra Elite Mask, Airframe Carrier & Harness, CBRN M7 PR14 Regulator, Wireless M7 Heads Up Display, Quick Fill URC/RIC, ICM TX and MSA 2216 or 4500 psi Carbon Cylinder (MSA M7 2002). 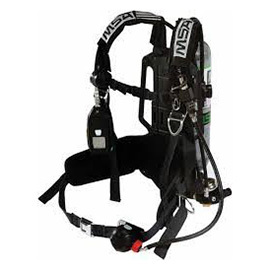 Includes Ultra Elite Mask, Vulcan Backframe & Harness, Firehawk Regulator, Heads Up Display, Quick Fill URC/RIC, ICM 2000 and MSA 2216 or 4500 psi Carbon Cylinder (MSA Firehawk 2002 NFPA). 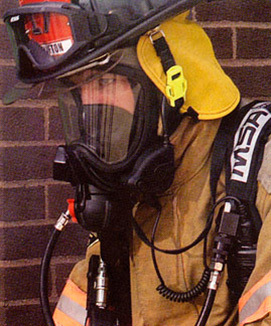 Includes Ultra Elite or Advantage 4000 Mask, Firehawk Regulator, MSA 2216 or 4500 psi Carbon or Aluminum Cylinder (MSA Airhawk). 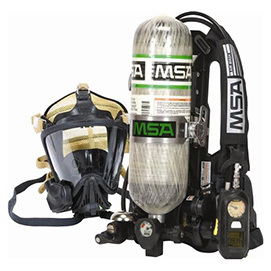 Includes Ultra Elite or Advantage 4000 Mask, Firehawk Regulator & MSA 5 Minute Aluminum Cylinder MSA PremAire Cadet Escape. 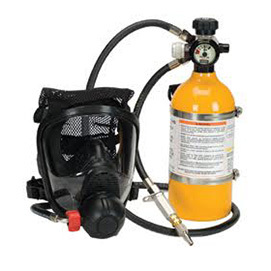 The RescueAire II Portable Air-Supply System is compatible with all of your FireHawk MMR Air Masks including the FireHawk M7 Air Mask. 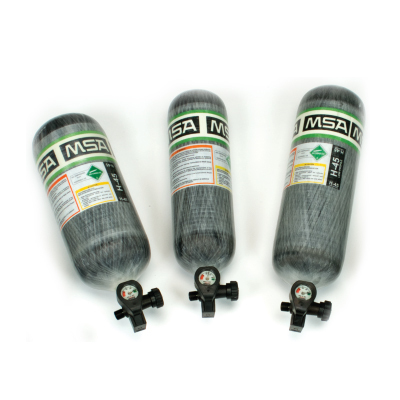 Reconditioned and Refurbished MSA SCBA Cylinders. 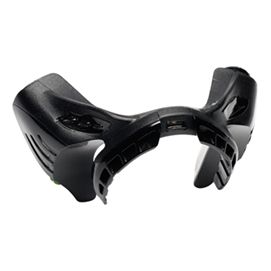 Sleek design offers 40% weight reduction compared to our external HUD. 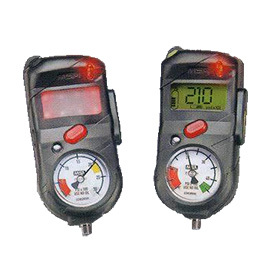 MSA's I-HUD Receiver is available only with the FireHawk M7 PASS device. MSA M7 Nightfighter 2 HUD's Coming Soon! Check back later. 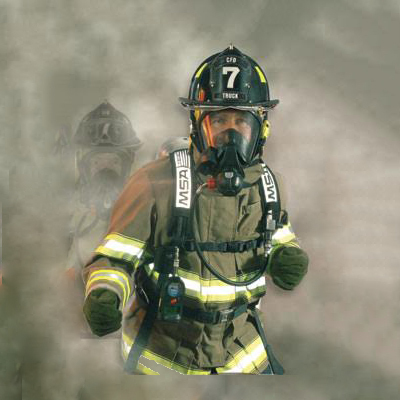 This system enables rescue personnel to communicate over commercially available radios. 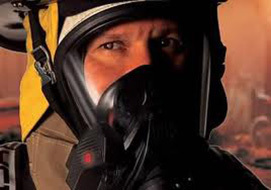 Attach it to a full face-mask (open mode) or put it inside a protective suit (covered mode). 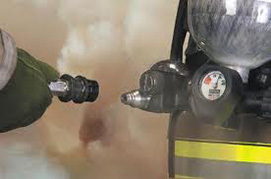 The Quick-Fill URC system exceeds NFPA's requirement that all SCBA have a Rapid Intervention Crew (RIC) universal air connection (UAC) male fitting for the replenishment of breathing air to the firefighter's SCBA. 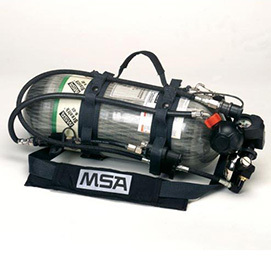 MSA's system allows the replenishment of a firefighter's SCBA and additionally allows for transfilling from one MSA SCBA to another. 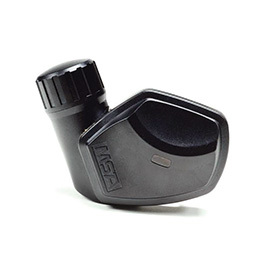 The transfilling capability is patented by MSA. 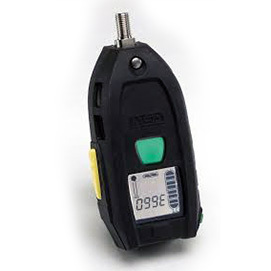 MSA’s new ICM Tx Integrated PASS combines the safety features of the ICM 2000 Plus integrated PASS with the functionality of the Heads-Up-Display (HUD) transmitter in a new integrated PASS device that’s fully compliant with the latest requirements of the NFPA 1982-1998 edition PASS standard.